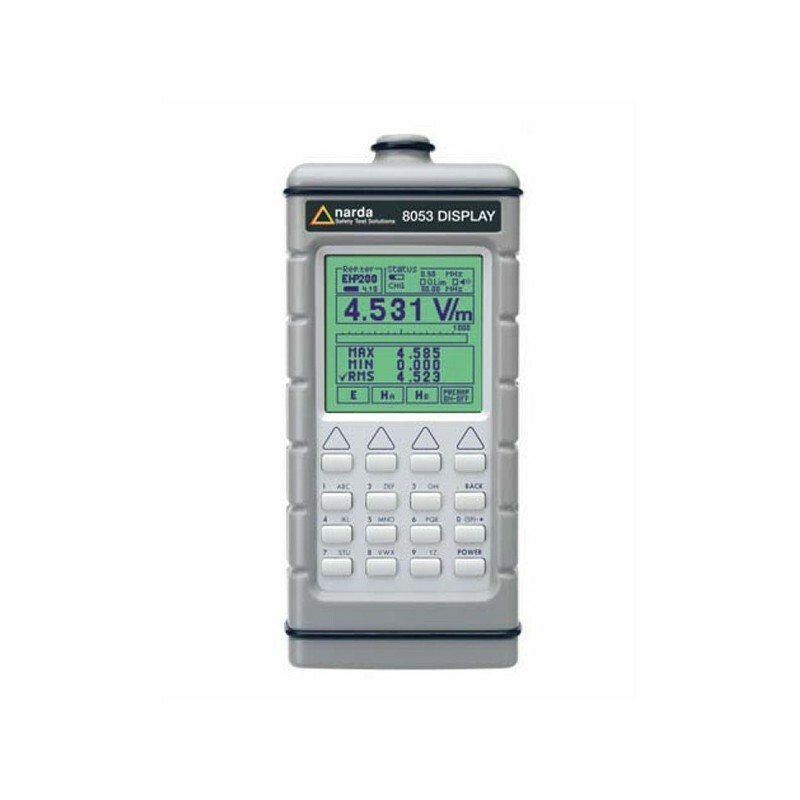 Field selection (E, H), 3-axis display, Min-Max-RMS, Logger, Alarms. 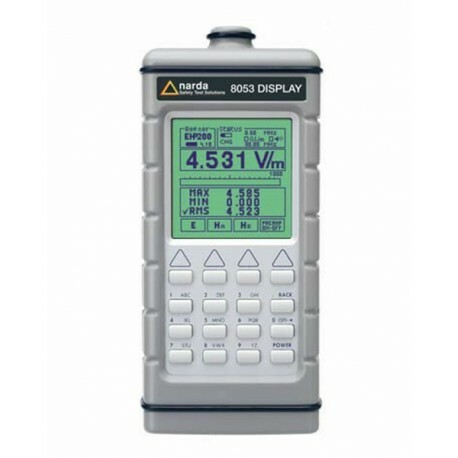 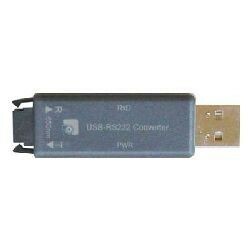 By the Data logger mode of the 8053-Display Unit, the User can record the measurements and save them in a file in the memory of the 8053- Display Unit. 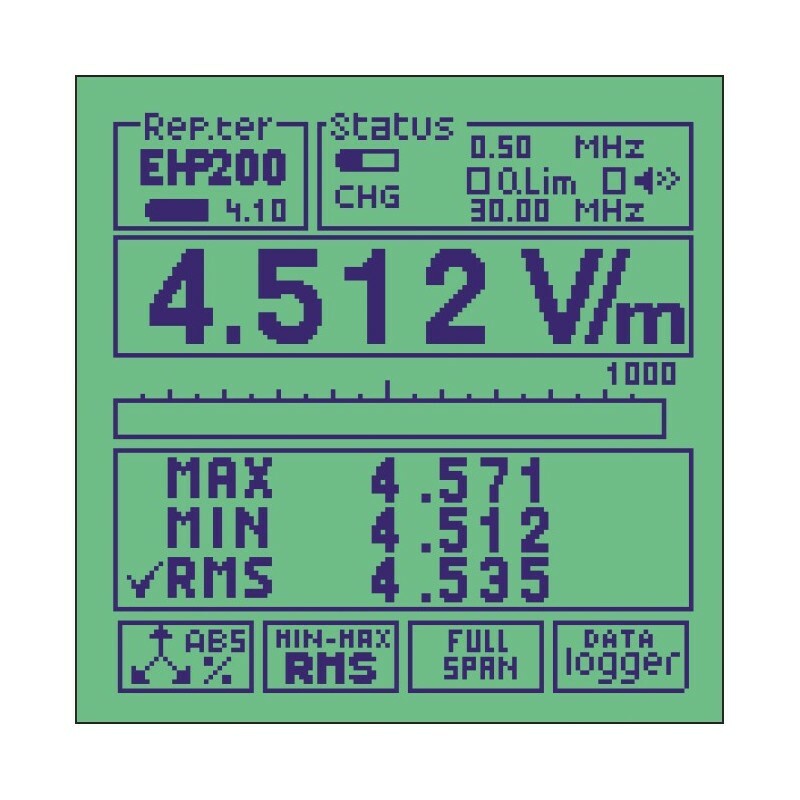 In order not to influence the field to be measured, communication between the EHP-200A Analyser and the 8053-Display Unit is through a rugged optical fibre cable.